Hi everyone, been doing lotsa summer-time bass fishing in the last few years (for me that means a few times a summer unfortunately, but its better than none, and I expect it to keep increasing as I get older). Anyways, my question. I was under the impressions that spring and fall patterns for bass are similar, in that the big ones move into the shallower waters than normal as the shallows are not as hot as under the summer. Now I just read a report from Johnny Bass saying the fall patterns means 30 fow on Simcoe for the biggies. My main question is: In the fall, do the bigger bass (3pnds +) spend more time in the shallows? This would help me a lot in my coming escapades. Thanks for any help, hope this can trigger a discussion in how to fish bass in fall VS summertime, what are the differences? Also another question. In southern ontario what % of bass would you say are 4pnds + ? When I hear 4 pnds being referred to as not being monstrous for Ontario, I find that off. I would assume 95% + of bass are under that in Ontario's waters, if not more. Whatcha think. Biggest ones I hear about these days are 6 pnds. I've let this post get a little long, but I'm just looking into how to fish in fall VS summer, as I've never fished bass in the fall time. BTW I'll be hittin Stoney Lake in the kawarthas for the falltime. I can only say for Fall I stick to deeper whated, crankbaits, slower presentations and so on. For you second question 4Lb is really not that big for Ontario wich has 5% of the worlds total water. 4lb might be big for Simcoe, but 6lb is average for other back lakes, and for other lakes 3lbs are huge. I am sure I will be corrected on all this. I would be VERY surprised if you could find a lake in ontario, back water or not, that had a 6 lb average. Actually, I would call it impossible. I would have to say that a 4 Lb bass is real nice catch. Simcoe is a large body of water and holds many large fish. If you know of a back Lake that holds lots of 6lb bass... you should keep it to yourself, cause there aint too many of thoes.. if any. Personally I would think a lake with bass that average 6lb is unlikely. If that's the average, then that would mean there are plenty of fish heavier than 6lb and in small back lakes it's hard to imagine there's enough of a food source for that. But... there are thousands of lakes in Ontario, so i guess you never know. check your scale, I think the spring is loose. I wish i had a average 6 pound bassin day . again with the 6lb deal for a bass. No that is not going to be a "average" bass size on any lake. (maybe if there was only 1 fish there) Again a 6lb bass is a HUGE fish. I myself have never caught a 6lb bass before and i would love to see a picture of a 6lb bass from one of these "backwater" lakes. As for the fall fishing for bass i would say slow down the action of lures you are fishing and go deeper as the weeds die off. The biggest bass I have ever caught was a 7.5 lb last fall in about 8" of water. I could not belive how big this thing was, for sure no 6 lb average lakes around here. Maybe you could find a lake like that down south where they are active all year but still not likely. 4 pounds is not big for Simcoe.... a limit of 4 pounders, will not put you close to a tournament win .... this bag of fish wouldnt win a fall tourney on Simcoe !! We got these beauties in about 20 feet of water in late september on long shoal ... find the smelt, you'll find the smallies .... we get em in 20-40 as the season goes on. 6 lb avg is crazy.....smallies or buckets. Not sure if even lake Okeechobee in florida could be classified a 6lb avg lake and I've fished it!? I did get to see my first 25b (1 6lber 3 5lber 1 4lber ) stringer this summer here in Elliot lake on a lake where there's a free municipal launch 12mins from my house. Unfortunately he was a "harvest" fisher and I got to see them laying on his back yard lawn minutes before them met the knife! I used to fish the Pointe Au Baril every year in September for a week at least. One day you could catch them dragging a buzzbait thru the pads, the next day 20 feet down and no logical explanation for it other than they were following the food. Just my experience it is a mistake to assume they are going to be in a certain water depth, smallies may have a tendency to be in deeper water during daylight hours, that can change at night. I have caught l/m and s/m from the same spot 20 feet of water in broad daylight up there, reason? that is where the majority of the bait fish were. With the exception of Lake Erie smallies which can throw an average size off the scale at time it is unusual to see a limit of bass even down here in slightly warmer waters over 16 pounds, it happens on occasion but to bet on it? Small waters off the beaten path get much less traffic usually, larger lakes, unlimited horsepower here have bass tournaments all the time, sometimes two or three a weekend. Some smaller waters just don`t get the pressure. I don`t think there has been a state record L/M caught out of a large inland lake here in 40 years or more, they have come from seldom fished farm ponds. Just my experience the first good frost up there with stable weather following it rings the dinner bell. You have to experiment to know where to set the plate. Cover some water, different depths. It`s the same here. Most of people's "4 pounders" are 2 pounders. 4 pounds is a really decent fish, 6+ is a trophy. As for fall, it can really be split into 2 sections. Early fall is when the bass are actually feeding heaviest. The water's still at a warm temperature and as it pushes lower to 60 - 65 the bass start filling their faces as much as possible. They do tend to move deeper but this isn't necessarily the rule. River/creek mouths can keep them in shallow and there are many roamers that simply follow the bait. If the bait is in shallow, they will be too. Late fall is difficult. Water is frigid and the bass normally move very deep, and become sluggish. The water is lowered past their prime feeding temperature. Though they will still feed daily, it will be in a couple of short bursts throughout the day and the rest of the day will be spent trying to conserve the energy from that meal. This being said, IMO lakes (down here anyway) are still in the late summer phase. Haven't seen a fall patterned bass yet .. but I don't fish smallies often either. I'm talking mostly largemouth. sugarpacket summed it up nicely. On the shield, early fall can be one of the best times for bass fishing. Not only are they feeding activly, but are often schooled up - both LM and SM: find one and you will often get 3-4 fish in that spot. The trick can be finding these feeding bass. 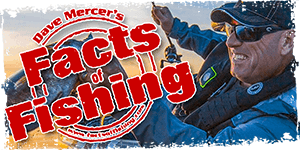 They will normally be shallow, quite often on the 'warm' side of whatever body of water you are fishing. I quite often find them keying on current as well. If they aren't feeding, good luck finding them. Smallies especially can become quite nomadic, moving around all day. I will put your conviction to the test and we will prove to the board your point. Are you a betting man? I will pay you $1000 to take me to one of these back lakes and limit a 6 pound average. Just in case the bite may be off that day, we can do this 3 times on any 3 lakes off your choice. Are you up for it? are there lakes where you may have a shot at a 6 pounder? Sure. but to average 6 pounds is impossible. There is no lake in the world with 6 lb average smallmouth. Certainly not in Canada. I consider Lake Erie the BEST smallmouth lake not only in Ontario but probably the world and at the latest Bass Master Elite Tournament held in Buffalo 7/31 - 8/03/08 the top 106 pro anglers caught 1328 bass weighing 4138 lbs. That's a average of only 3.11 lbs. Even a small hidden back lake that no one knows about is hard pressed to have a 4 lb bass average. Plenty of people who don't bring cameras catch 6 pound bass all the time! Heck, my buddy at work tells me all the time how he shot a 14 pounder in his back pond with a bow. What skills. In the fall the bass go deeper. By mid-October I find it hard to find them.